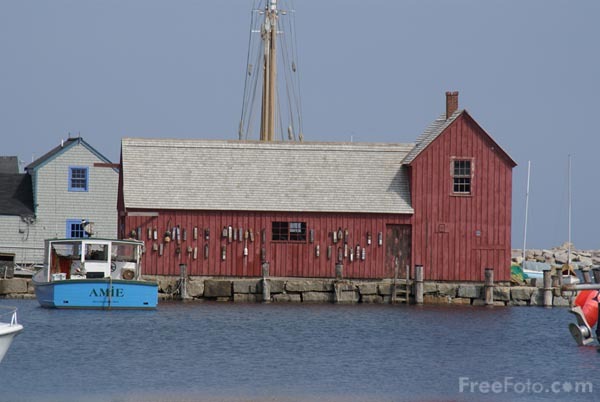 Photograph of Motif #1, Bradley Wharf, Rockport, Massachusetts, USA. The fisherman's shack is one of the most famous buildings in the world, recognizable to students of art and art history. VIEW: More images from the category Rockport, Massachusetts, USA or taken at the same location or around the same time .